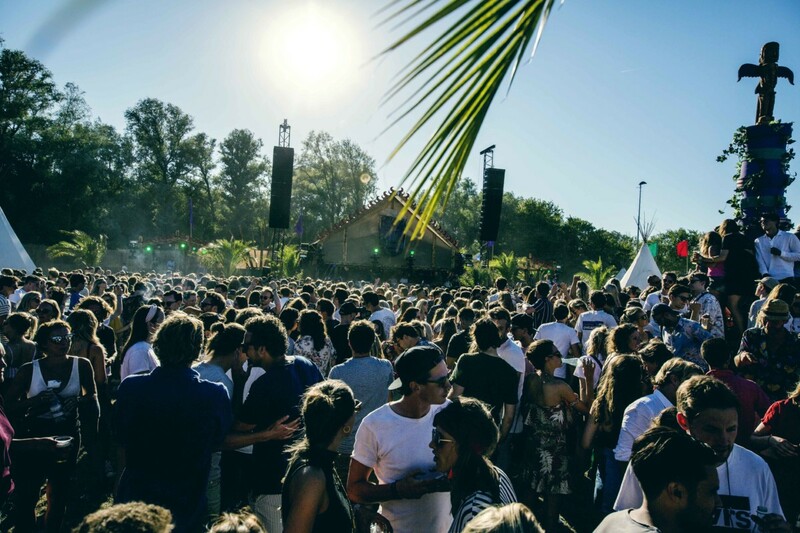 Events in Tilburg to brighten up your summer! After something to do over the next coming months? Don’t worry, we have you sorted. Tilburg has become a hub for festivals and other cultural and musical events. As a result, a lot of us flock to the area every year to experience some breathtaking events in Tilburg. As if the city wasn’t worthy of your visit on its own, we have done the hard work for you and have picked 7 amazing events in Tilburg to attend this spring/summer of 2018! So what events in Tilburg are there? Roadburn festival is a heavy rock festival, featuring great artists such as Greenmachine, Black Emperor and Earthless. It’s Europe’s leading underground festival for doom and psychedelic rock. As a result, Roadburn pushes the boundary’s of music and therefore it makes it a unique and special experience. It’s also unique in the sense that it’s quite a small festival, which almost gives it a personal touch. The festival itself is organised by the people who love the bands personally, so you can be ensured that the festival does it right. Roadburn will be taking place at Poppodium 013 in Tilburg from Thursday 19th April – Sunday 22nd April 2018. More information and ticket sales are available here. Over 20 years ago, Hap Stap was set up as low-key event where restaurants could just present their food. 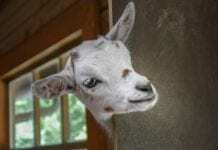 Now, the principle is the same, but it’s grown! The popular Hap Stap festival is a food festival, which showcases local food talents. The participating local restaurants provide delicious food for every palette! Like oysters? What about sticky chicken? Something complete different? No worries, because they have it all. The intimacy and coziness of the festival, make the atmosphere even better. Best of all: it’s free entry! But is it just food? Of course not! Entertainment is even provided whilst you go around tasting all of the lekker food. Hapstap will take place at Spoorlaan 298 (Interpolistuin) from Friday 18th May – Monday 21st May 2018. For more info, visit their website here. 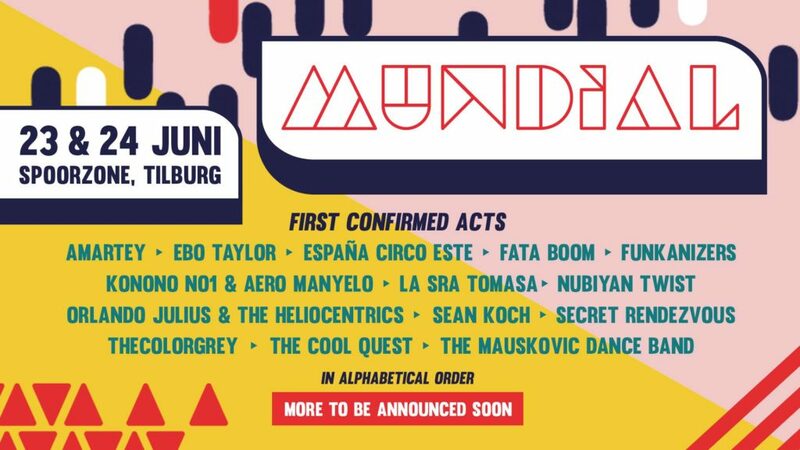 Festival Mundial has something for everyone: modern pop, classic hip-hop, funk, jazz, dance and more. The festival is unique in the sense that it appreciates that non-western music is also great, and incorporates it into the festival (so there really is something for everyone)! The festival has amazing acts and lekkere food trucks, which makes for a great combination. People are realizing, as it’s growing in popularity too! Over 40,000 people enjoy this 2-day festival every year. People from all over the world and all ages flock to Festival Mundial. So if you’re after a mixed bucket of genres or just some great food, then this one is for you. For more information on the lineup and tickets, click here. Festival Mundial is located at Tilburg Spoorzone on Saturday 23rd June – Sunday 24th June 2018. Woo Hah! is the biggest hip-hop festival in the Netherlands. It wasn’t always like that though, it’s grown considerably over the years. It began as a small festival with 4,000 visitors in 2014, growing to 30,000 (completely sold out – ticket wise that is) within 2 years. With a growth as big as that, you can see that the festival does hip-hop well. With artists such as Lil Pump and Sevn Alias, it’s the perfect place for hip-hop lovers everywhere! For more information, ticket shop and amazing line-up information, visit the website. Woo Hah! is located at Holiday Park Beekse Bergen, on Friday 13th July – Sunday 15th July 2018. 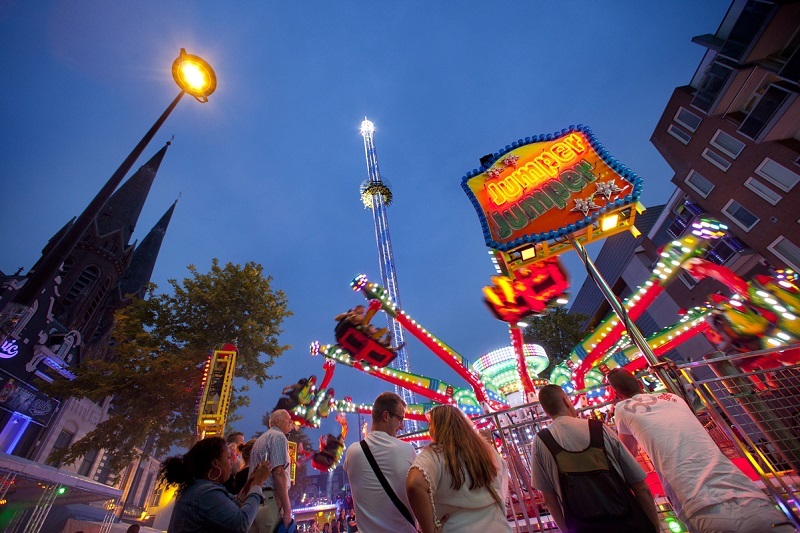 The Tilburg Fun Fair / Tilburgse Kermis is coming to town! Are you ready for it? With over 200 different attractions, there is definitely no shortage of fun. Every year the fair grows and the visitors keep on flocking. 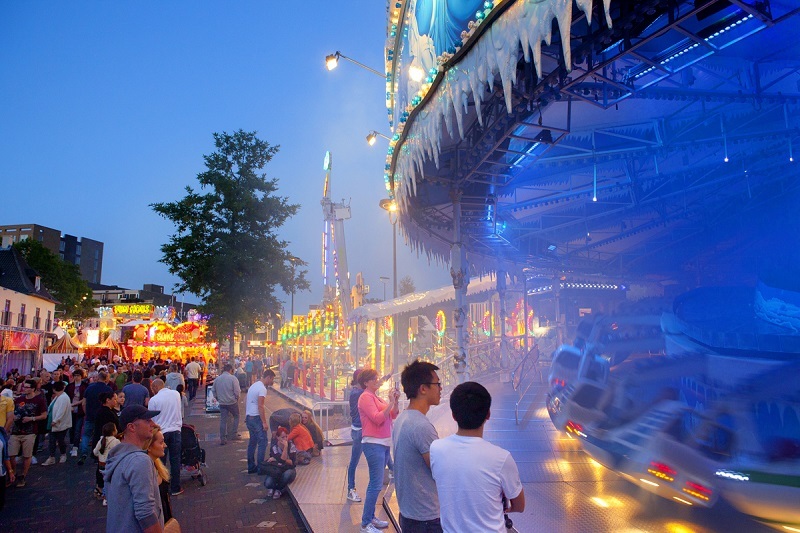 There is more than one million visitors visiting Tilburg’s fun fair every year. ‘Pink Monday’ is the top day for the fair with over 300,000 visitors passing through the gate, wow! Don’t be fooled – it’s not all just rides. There is so much more, such as: a giant parade, a theater, fair, markets and music. All in all it’s THE quintessential ‘kermis’ of the Netherlands. So there is something for everyone. For more info, visit their website. Located at Heuvelring 52 on Friday 20th July – Sunday 29th July 2018. 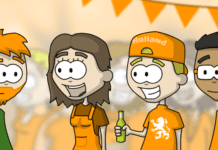 What is the largest rolling food festival in the Netherlands? Smaakkaravaan of course! With over 40 mobile kitchens (in cute little campers), it’s the perfect place for some top-notch grub to really get your teeth into. Friends with fussy eaters? No worries, there is something for everyone. Whether you’re after BBQ food, seafood or delicious desserts, rest assured that there will be too much choice and not enough belly space for it all. The best bit? A lot of dishes are prepared with Brabant produce and all with Brabant love! Is there just food? Nope! Theater, dance and jugglers are there to keep you entertained while you tuck into your mouth watering food. The perfect place for all foodies. For more information on this event, click here. Draaimolen (Carousel/Merry-Go-Round) Festival is an international underground dance festival, held in a forest in Tilburg. A forest you say? Yeah, personally I think that’s the coolest backdrop for a festival that there is! It’s so good, that people from over 20 different countries come to this festival to experience top DJ’s. This year’s line-up includes names such as Dixon, Motor City Drum Ensemble, and Perel hybrid . So if you’re after an immersive experience, in a forest, with amazing dance music – then this one is for you. Draaimolen festival is also one of the top 50 most popular festivals in the whole of the Netherlands, for the 2nd year running! And it’s growing every year. So it’s a must-go. For tickets and info, visit this page. 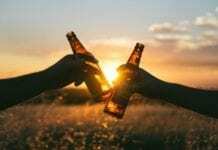 Draaimolen Festival is located at Charlotte Oord on Saturday 15th September 2018. After more events in Tilburg or other cool things to do? Don’t forget to keep checking back at our events calendar.